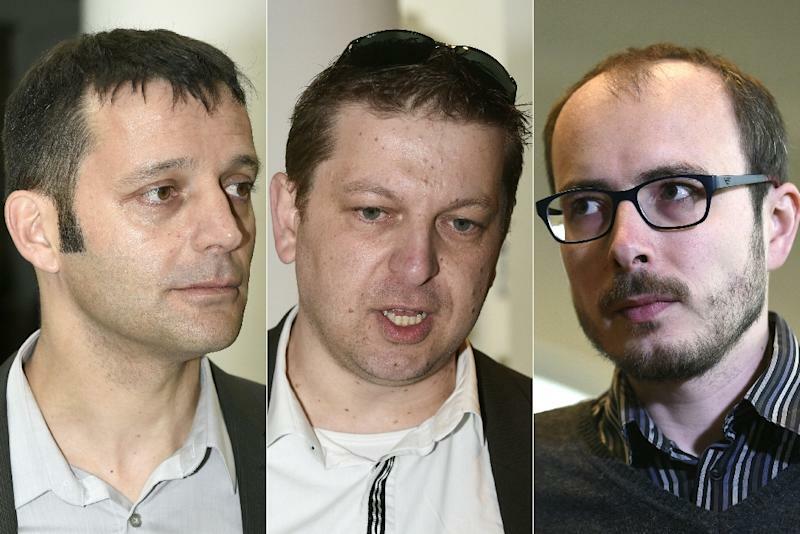 Luxembourg (AFP) - Luxembourg prosecutors on Tuesday called for two whistleblowers on trial over the "LuxLeaks" scandal to be given jail sentences of 18 months, and for a journalist to be fined. Frenchmen Antoine Deltour and Raphael Halet, both former employees of auditing firm PricewaterhouseCoopers (PwC), are accused of leaking thousands of documents to journalist Edouard Perrin. The documents revealed the huge tax breaks that tiny EU nation Luxembourg offers international firms including Apple, IKEA and Pepsi, saving the companies billions of dollars (euros) in taxes. A verdict is not expected until mid-June. "Deltour and Halet are not really whistleblowers, and Perrin has broken the law," deputy state prosecutor David Lentz told the court as he summed up the prosecution's case two weeks after the trial began. 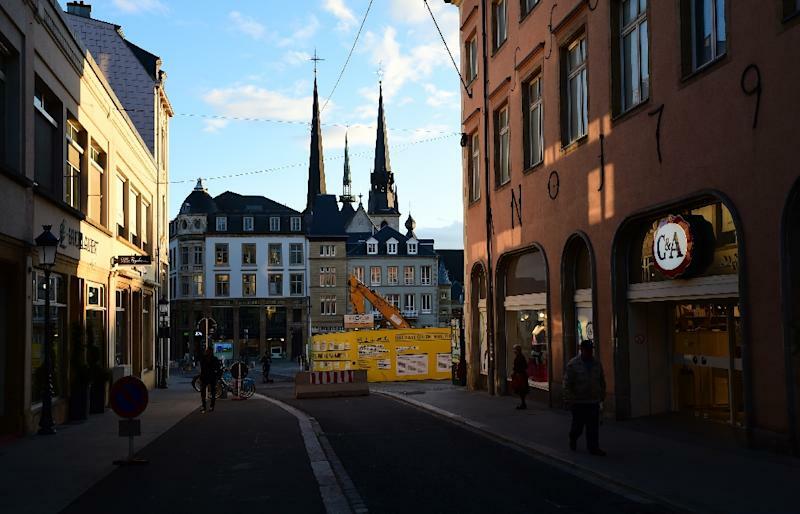 He said that he had taken into consideration the revelations on "certain doubtful practices" exposed by the leaks but that they had nonetheless broken Luxembourg's laws. "We are here to deliver justice. They must be judged on what they did, this trial has to take place. It's disagreeable, but my job is to protect society against all abuse of the law," he added. The maximum penalty available was a jail sentence of 10 years for the charges against the two whistleblowers which include stealing documents, revealing business secrets and violation of professional secrets. "For Deltour and Halet we ask for the same sentence: the confiscation of objects seized in France, a fine and 18 months in prison. For Perrin we ask for a fine," Lentz added. The prosecutor said he would not object if some of the jail sentences were suspended, adding that it was up to the judge to decide. Rights groups have said the three are being unfairly prosecuted. Fugitive US intelligence contractor Edward Snowden, who revealed the extent of surveillance programmes run by the US National Security Agency, had offered support, Deltour's lawyer said. 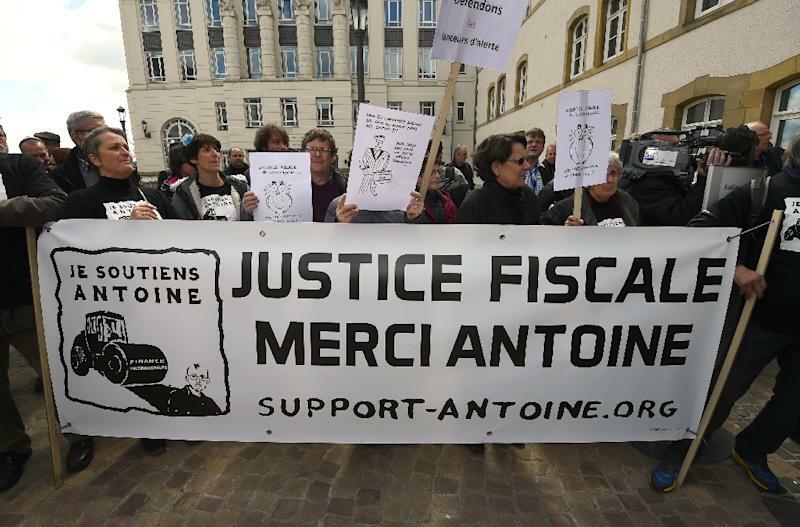 "Antoine, Edward Snowden wishes you good luck," lawyer William Bourdon told the court. The two former PwC employees have both defended their actions. Deltour, who was the first person to leak documents to Perrin, told the court last week he was proud to have opened up the issue of tax breaks for multinationals. "I feel a certain pride in having contributed to these important advances to taxation in Europe," he said. The documents were originally used for a 2012 report on French public television, but only really exploded onto the world stage in 2014 with the huge "LuxLeaks" dump of all 30,000 pages into the public domain. The files showed how Luxembourg granted "sweetheart" deals that saved firms including Apple, IKEA and Pepsi billions of dollars in taxes, at a time when Jean-Claude Juncker, now head of the European Commission, was prime minister. Halet meanwhile said he had decided to do his duty as a citizen after he was "shocked" by the size of the tax breaks. In the past two years the EU pushed through tougher rules on taxation in the wake of the LuxLeaks release. LuxLeaks was the biggest expose of its kind until this month's publication of the Panama Papers, which revealed links between a number of international leaders and offshore shell companies that can be used to hide or launder wealth.